Lee Bradbury believes it is a big compliment to the Hawks that Tyler Cordner has extended his loan stay for the rest of the season. 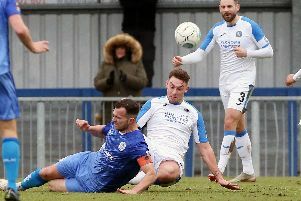 The talented AFC Bournemouth defender has been a huge hit at Westleigh Park this season. He had been looked at by a number of Football League clubs. The 20-year-old has put in some exceptional performances. 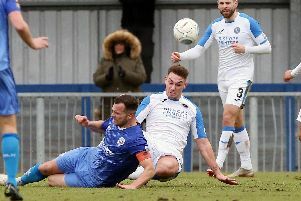 Bradbury feels it says a lot about the club that he can continue to develop as he wants with the Vanarama National League outfit. The Hawks manager said: ‘I am very pleased to get him for the rest of the season. ‘He has developed nicely and achieved what he set out to do when he came to us. ‘Tyler is a good footballer and is now becoming more aggressive in his defending. ‘He needed to get experience of this side of the game. ‘Every game he gets better and better and must look to keep it going. ‘He could have gone somewhere else and been involved at a higher level. ‘But he wants to continue getting as much game time as he can.